A company known for its high-speed polygon scanners and expertise, Precision Laser Scanning, LLC was founded by George Helser in 2015. Helser has more than 25 years of experience in optics, including one patent, and 11 years of experience with high-speed polygon scanners. Precision Laser Scanning is focused on high-speed laser scanning up to hundreds of meters per second. The company most notably provides polygon scanners and related optics. With today’s fastest Ultrafast / Ultra-Short-Pulse lasers, polygon scanners are the solution for reaching the full potential of the lasers. The company also manufactures advanced controllers and SOS detection systems. They import the highest-quality beam shapers, compact beam expanders, and F-Theta lenses from Germany and Japan to supply along with their polygon scanners. 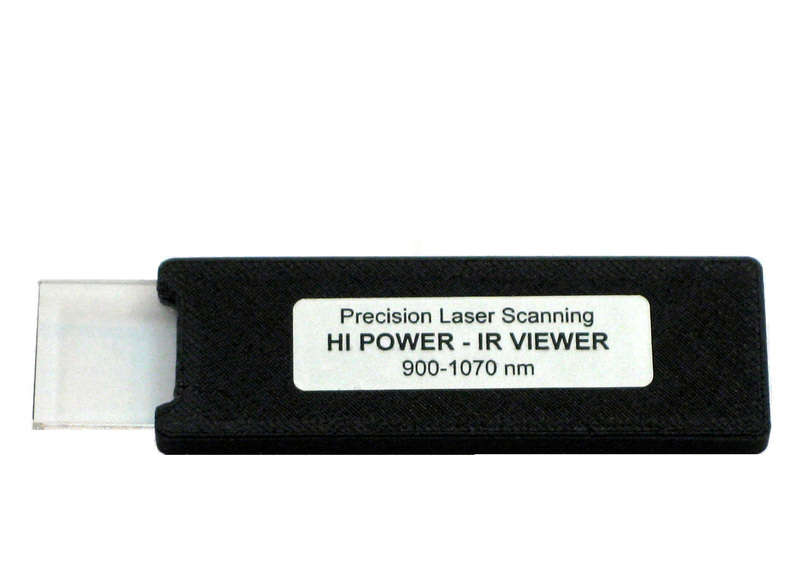 Recently, the company introduced a unique IR detection glass (HI POWER – IR VIEWER), which is a virtual visualization tool useful to anyone who works with high-power 1064 nm beams. 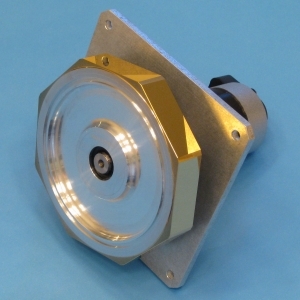 With a damage threshold of 100 W/mm2, it converts 900-1070 nm to green visible light. Since the glass contains imbedded nanocrystals, it is very durable and passes 80 percent of the beam. It can therefore be permanently installed in an operating system to verify operation, and it is superior to opaque laser-detection cards. 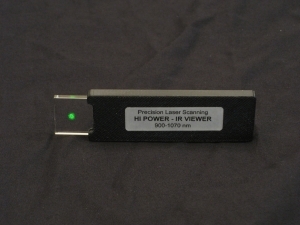 Recently, the company introduced a unique IR detection glass (HI POWER – IR VIEWER), which is a virtual visualization tool useful to anyone who works with high-power 1064 nm beams. Located in Scottsdale, AZ, Precision Laser Scanning is comprised of five employees with more than 40 years of combined experience in laser scanning. Helser compares their business model to that of Apple in that they invent new technology, design products, and market them. The most valuable service the company offers is the ability to educate customers on the implementation of high-speed polygon scanner technology to achieve up to hundreds of meters per second. Since polygon scanning operates much differently than traditional galvanometer scanning, customers benefit from the experience offered by the company and are therefore able to bring high-speed Polygon Scan Heads to market quickly. Helser says the company as a whole is most proud of its worldwide reputation in the industry. As subject-matter experts in polygon scanner design and implementation, he truly believes their customers receive the most competent advice during the design, implementation, and production of their Polygon Scan Heads. Polygon scanners were originally developed for laser printers and copiers 40 years ago, but Precision Laser Scanning is re-inventing them for material processing and equipping customers with the knowledge to implement the improved technology. Because of the company’s focus on high-speed laser scanning for material processing, Helser appreciates the focus that the Laser Institute of America (LIA) places on material processing as well. He notes that LIA excels at laser safety training and regularly brings together like-minded individuals at the conferences. As a member of LIA since 2012, Precision Laser Scanning has participated in every ICALEO conference held since joining. ICALEO is the leading international event to attend for learning about the latest research in the field and networking with experts from all over the world. For more information about Precision Laser Scanning, visit www.precisionlaserscanning.com. This Corporate Member Profile was written by LIA Writer Lindsay Weaver in cooperation with Precision Laser Scanning.